Mt. 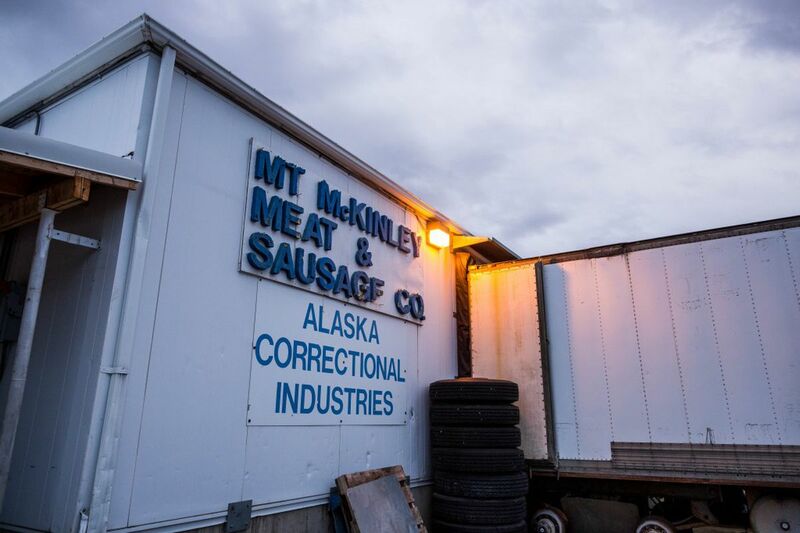 McKinley Meat and Sausage slaughterhouse in Palmer on Sep. 15, 2014. The facility is the only USDA-approved slaughterhouse in Southcentral Alaska. An attempt to lease the embattled Mt. McKinley Meat and Sausage plant received only one proposal this week — and not from the group that expressed interest in taking over the slaughterhouse in the first place. Inlet Processing Co., Inc. was the only entity to submit a proposal to the Board of Agriculture and Conservation by its Monday deadline. The board is set to consider the lone proposal at a meeting Thursday. Denali Meat Company, which called for the proposal in February in an effort to move the plant into private ownership, declined to submit an offer. The state solicited proposals for the lease and operation of the plant in May. Conditions of the five-year lease included a two-year period of renting the property for $1 a month. Renters of the space also had the option of potentially purchasing the property. But Nate Burris, Denali Meat president, said in an interview Tuesday that stipulations in the state's proposed lease agreement made it impossible to secure financing. "It just didn't work for us," Burris said. "We had good intentions, we wanted to promote things, but it didn't make sense financially the way it was." Rean Brooks, a cattle rancher and president of Inlet Processing, declined to speak directly about the specifics of his bid when reached Wednesday afternoon. But he said his state-registered nonprofit has worked out a business plan for the plant he believes will be profitable. "We have a market here, people will buy products, we just need more of it," he said. This is the latest development in the fight to keep the state-run Palmer slaughterhouse open. The plant is the only USDA-certified slaughterhouse in Southcentral Alaska. Without it, livestock farmers won't be able to legally sell meat to restaurants and grocery stores. But for years, legislators have questioned why the state operates such a plant — it averages a loss of $100,000 year according to state records — and have almost annually threatened to close it down. This year, lawmakers approved one more year of funding to operate the plant through June 2017, but have urged the industry to take over or face permanent closure. The state has attempted to move the plant into the private sector multiple times since taking over operations in 1986. However, attempts to sell or lease the plant in both 2000 and 2002 both led to "no responsive requests" from interested parties. Instead of a proposal, Denali Meat Company sent a letter to Department of Natural Resources Acting Commissioner Andy Mack July 8 outlining the company's decision not to submit a proposal. The letter, written by former Alaska Gov. Sean Parnell, explains that restrictions within the lease made finding financing for the operation impossible. The letter outlines those issues, including a "restrictive title" that limits the scope of operations at the plant, and issues regarding how to make assessments of the property if the renter decides to purchase it. Burris said it would cost the Denali Meat Company $300,000 and $500,000 to transfer the plant out of the state's ownership. Despite a two-year provision where the plant was rented for only $1 a month, he said it would be too risky to operate as a private business prospect. "I'm 100 percent behind agriculture and expansion of the red meat industry in Alaska, whether I'm involved financially or not, I'm all for that," Burris said. "I just don't think the way the RFP is written is going to work out for anyone." Arthur Keyes, director of the division of agriculture, said it was a "little disappointing" to not see more proposals submitted. Producers have been vocal about their interest in the plant's continued operation. "It is a vital link in Southcentral Alaska for the protein production here," Keyes said. "There is a lot of concern (about closure)." Keyes was also disappointed not see a Denali Meat Company proposal. He said perhaps some technical issues within the RFP could have been addressed with more dialogue between interested parties. But Keyes wasn't discounting the only proposal submitted Tuesday. It only takes one good one, he said, for someone to take over operations of the plant. "It very well could potentially have everything that's needed to operate the plant, which would be fantastic," he said. "But we'll find out Thursday morning."